Hololens Anatomy is a 3d app made with Unity to support the learning of anatomy for students. The app lets the user step into an augmented reality that allows the user to see the real environment while watching and interacting with holograms. A hologram of a male body is presented to the user. The male body is modelled by Plasticboy and is modelled to be as realistic as possible. The model includes everything from the skin of a human, to his bones and internal organs. All of which helps the student explore and identify the body parts of a human. The students skills are put to the test by a quiz inside the app. The quiz includes CT-images of a certain point on a human and the student then has to identify the correct part inside the male. The project was made in collaboration with a small team of developers and a set of stakeholders – some with professional input in the medical/anatomical world and some with professional input on project management and idea generation area. The project was developed for SDU and released for internal usage by students at SDU. The UniTeX editor is a LaTeX editor featuring LaTeX compilation, highlighting and auto-completion. Alongside the text editor, UniTeX also features project and team management, with multiple documents. The documents can be edited collaboratively by multiple users, on a distributed network. Every document is contained in a project and is sharable with a team of other users. When finishing up a document it is possible to compile and export the LaTeX document as a pdf file. The editor was made as a semester project in collaboration with a very great team of fellow students. The client and server was developed in Mono leveraging many features from C#. Thus allowing for cross-platform compatibility. The Zombie Shooter game is developed using Python along with Pygame. This is the project that inspired me to go into Unity3d development. Which is why it might seem a little bit unfinished. 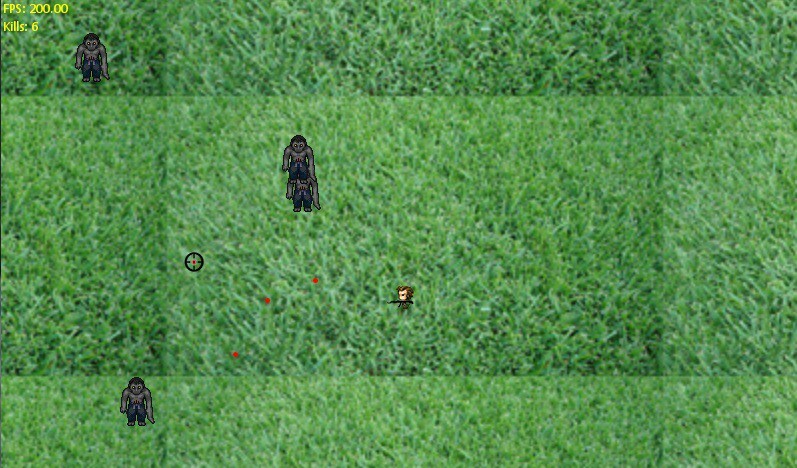 Anyhow, the character is animated using a spritesheet, but the I never got to the zombies. The shots are moved at a constant speed in the direction you shoot and the zombies die whenever they are hit. The spawn rate of the zombies increase to a certain threshold. You can try to see how long you can avoid any zombie hitting you 🙂 Unfortunately nothing happens if they do hit you. 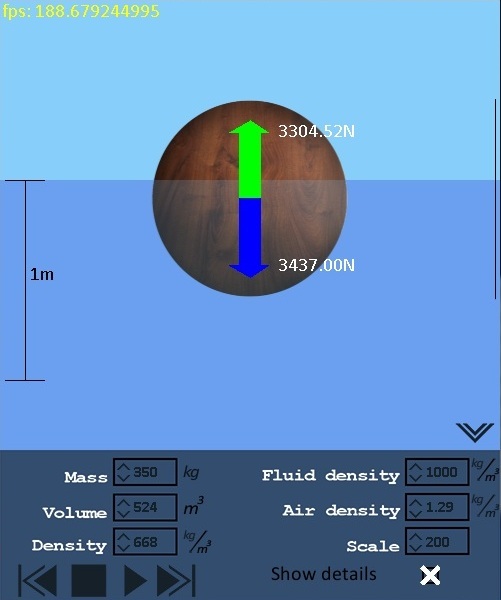 The Density Simulator calculates how a sphere behaves when placed in water. It allows for different parameters to be changed. It is made to be as life-like as possible – meaning that only proper physics theories is used for calculation. I made the Density Simulator using Python 2.6 along with Pygame and a couple of other small modules. The idea was to create a dynamic module which would create a button from several parameters. But it should also be kept on a simple and logical way. If you want a more advanced button drawer, then I recommend zModule for Python.